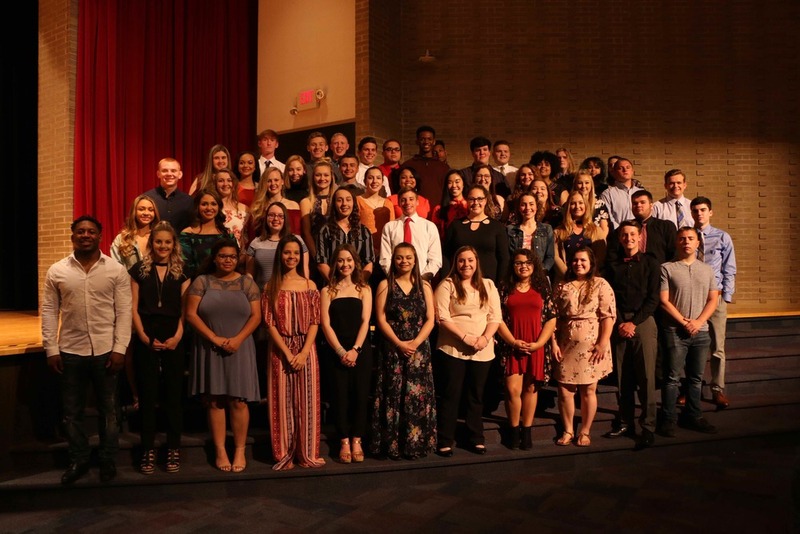 The Alliance High School class of 2018 broke school records on Monday evening as they received over $2.3 million in awards and scholarships at the Senior Awards Night. Over $105,000 of the awards were from the Alliance High School Foundation. Several of the scholarships were full-tuition scholarships including the Elvin Wilson/Duke University Scholarship awarded to Brendan McGeehan and The Investment Alliance Scholarship (University of Mount Union) awarded to nine students, Kiara Bennett, Natalie Bert, Mara Cvelbar, Madalyn Waggoner, Madison Gasparik, Cortaise Rogers, Alexis Kelley, Alexis Orzo and Andrew McMillen. The AllianceWorks Scholarship also was awarded to five seniors and pays for all tuition to Stark State College. Those recipients include Korryn Jackson, Morgan Davis, Tyler Phillips, Carolyn Garrison and Jazmine Johnson. There were five new scholarships added this year including the AHS Foundation Gary Andreani Scholarship, the Tabernacle Baptist Church/Empowerment Center Scholarship, the Nellie V. Visi Memorial Scholarship, the Ronald and Erma Holloway Memorial Scholarship and the Brenda L. and Jeronda B. Holloway Memorial Scholarship. Over 81 organizations or scholarships were represented on Monday evening. 56 students received awards or scholarships and many received multiple awards and scholarships. AHS has the community and its many partners to thank for supporting students and their furthered education.